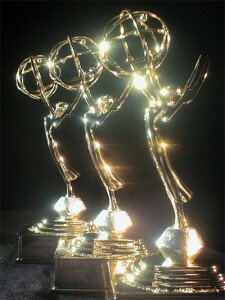 Home » Entertainment » Emmy Nominations 2009 battle is ON : who wins what? The Emmy Nominations 2009 awards is to be held today..Yep, the hard work of all the TV actor and actress is to be recognised today. Now who wins what this is the biggest buzz. Nearly all of the websites online are predicting their guess on who will win what for nearly a month. The decider for who holds the crown is today!!! The award categories has been broken down to various categories that include, Best Drama, Best Comedy, and Lead Actor and Actresses. The 61st Primetime Emmy Awards will air on CBS today at 8:00 Eastern and 7:00 Central standard time.